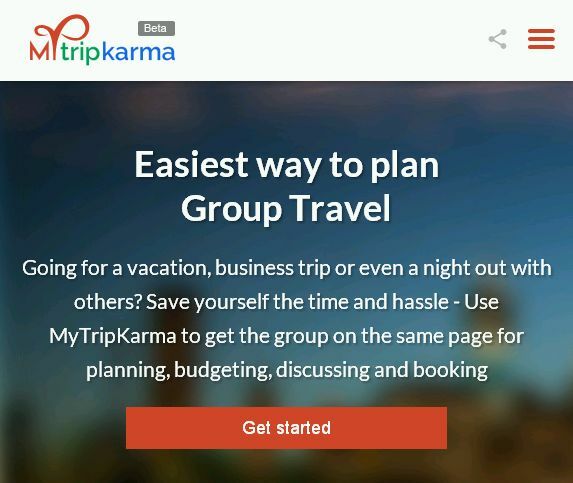 MyTripKarma.com is a one-stop-shop for all your travel needs, allowing you to collaboratively plan, organize, budget and book all your trips in one place, so you don’t have to download and use multiple apps, thereby making life a lot easier for you and saving you a phenomenal amount of time. 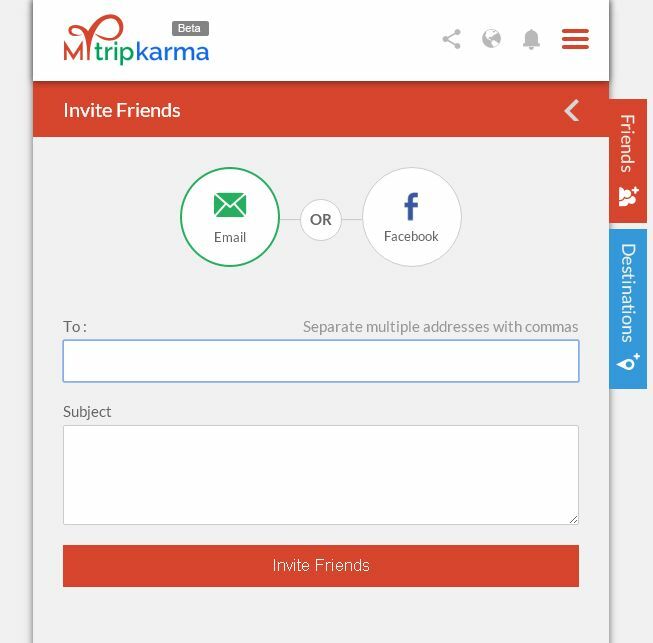 MyTripKarma has been built keeping the everyday traveler in mind, with the aim of addressing the challenges people face when planning any kind of trips with their friends/family/colleagues. You will land on the Trips page. 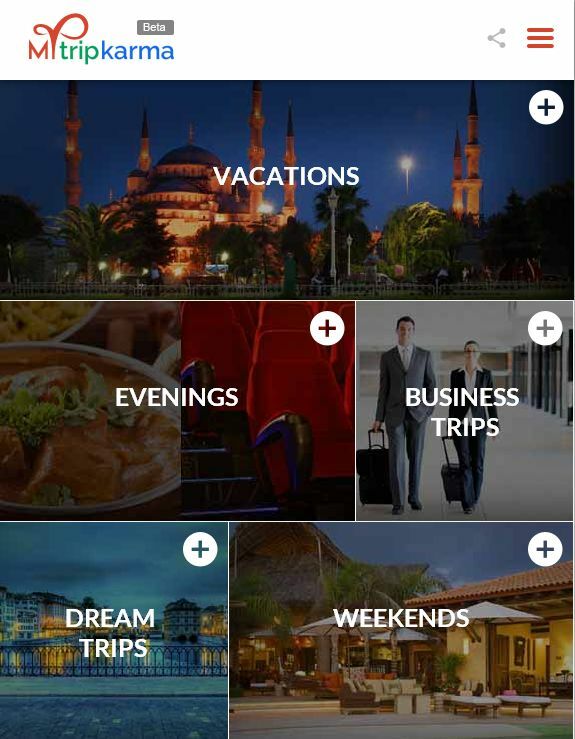 Here you will see all the different types of trips you can plan using MyTripKarma – Vacations, Evenings, Weekends, Business Trips and Dream Trips. For first time users, the Trip boxes will be empty but will start filling up once you create some trips and you will be able to see your recent trips here. On the top right corner of each trip box is a plus icon, which helps you create a trip. Press the plus button on the trip type of your choice to create a trip. Once you Sign up, you will land on trip creation page. Let’s say you are planning a vacation to Turkey with your friends. So on the create trip page, you just need to enter basic details about your vacation, such as Trip Name, Start Date, Destination, and select a cover photo for your trip. Note: You can add multiple destinations to your trip by using the + button. Voila! You’ve just created your first trip!! Now you can invite friends to your trip, add destinations, hotels, flights, attractions etc to those destinations and discuss them with your co-travelers on this page. All your added items and discussions will be stored in the system and you can access them whenever you like. 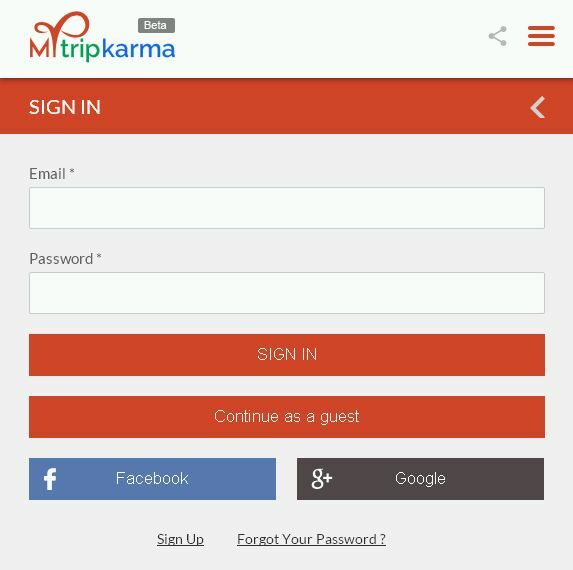 Being a Social travel Application, MyTripKarma is ideal for planning group trips. Invite as many friends as you like to your trip and bring them all on the same page. You can send invites via Email or Facebook, and additionally through Whatsapp or SMS on mobiles. To invite people to your trip, just click on the Invite button. Use the chat icons in the app to discuss your trip with the co-travelers. 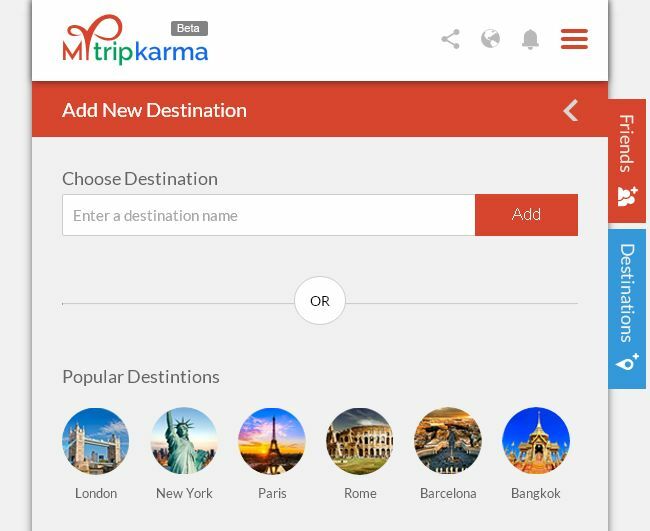 You can easily create multi-destination trips in MyTripKarma. 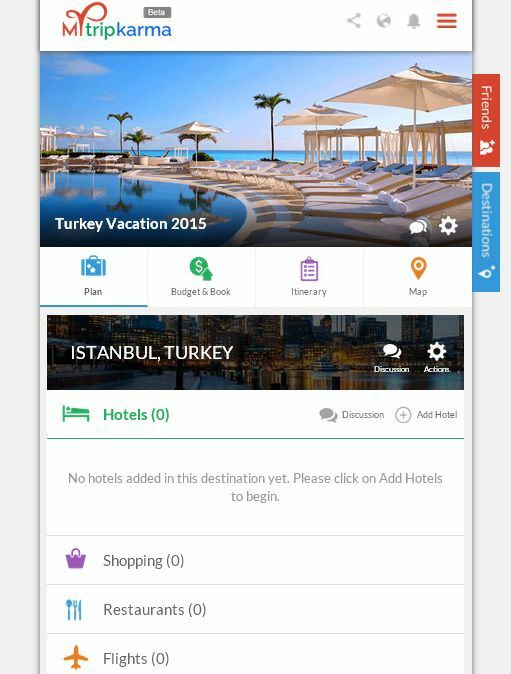 Just enter the location name(locality/city/state/country) to add another destination or choose from some of the most popular destinations across the world! ← How MyTripKarma makes Group Travel a piece of cake!